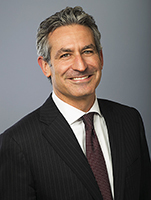 Mr. Wallach is a Partner at Paulson & Co., a co-portfolio manager of the Paulson Credit Opportunities Funds, and a co-portfolio manager and member of the Investment Committee of the Paulson Strategic Partners Fund. Since joining Paulson in 2008, he has led numerous investments in the debt and equity of distressed and leveraged companies, and he has served on multiple boards and creditor committees. Prior to joining Paulson, Mr. Wallach was a Partner and Managing Director at Oak Hill Advisors, serving most recently as Co-Head of European Investments. He joined Oak Hill's New York office in 1994 and spent more than 10 years investing in public and private securities before co-founding the Firm's London office in 2005. Mr. Wallach began his career as an investment banker at Kidder, Peabody & Co. Mr. Wallach graduated from Princeton University in 1993 and is a CFA charter holder. He currently serves on the boards of directors of International Seaways, Inc. and Overseas Shipholding Group, Inc..